There is a company named Universal Insurance Exchange Insurance Company, however, it appears to be an investment firm rather than an insurance provider. The Universal Health Care Insurance Company will be reviewed in place of the Universal Insurance Exchange Insurance Company. Get access to lower health insurance rates after you enter your zip code! Because the Universal Health Care Insurance Company is relatively small, little information relating to customer reviews or government action was found. The Universal Health Care Insurance Company has no rating with the Better Business Bureau. Although the Better Business Bureau has not listed the Universal Health Care Insurance Company as an accredited insurance provider, it has handled more than 10 complaints that were filed by consumers. Employees that work for the Universal Health Care Insurance Company describe it as being a good company for newcomers in the insurance industry, but it appears that it is not appropriate for vetted insurance professionals. No consumer-based reviews on the Universal Health Care Insurance Company were located on the web. Unlike other insurance providers that sell primary health coverage, the Universal Health Care Insurance Company offers open enrollment rather than quotes. Although every individual policyholder will receive different rates, there are only certain times of the year that they are able to buy insurance from the Universal Health Care Insurance Company. In addition, the Universal Health Care Insurance Company offers coverage in fewer than 20 states. Consumers that do not live in the states that the Universal Health Care Insurance Company is authorized to sell Medicare and Medicaid supplementary plans will need to find a different provider. Quotes for supplemental health plans are generally available online or over the phone. Only Medicaid or Medicare recipients are able to purchase health care coverage from the United Health Care Insurance Company. Medicaid recipients tend to be low income, however, this government funded insurance program does not provide dental or vision coverage to policyholders over the age of 21. Medicare recipients either are senior citizens or are permanently disabled. Because Medicaid only pays for 80% of all medical related expenses, Medicare recipients need to purchase supplemental plans in order to lower their out of pocket expenses. Several different types of supplementary Medicaid and Medicare insurance plans are offered in addition to prescription drug discount programs. The phone number for customer service at the Universal Health Care Insurance Company is 1-866-690-4842. Consumers may also choose the department that they want to get in contact with and send a message through the company website. Although there is no way for job applicants to apply at the Universal Health Care Insurance Company online, students are regularly invited to attend company sponsored job fairs. College students studying in the insurance and health care industries are amongst the top prospects recruited by the Universal Health Care Insurance Company. Because the Universal Health Care Insurance Company is based in Florida, all recruiting events are also located in this state. Information on health benefits was not found on the Universal Health Care Insurance Company website. Since most customers prefer to do their own research before calling customer service, the Universal Health Care Insurance Company offers policyholders the option of managing their accounts online. 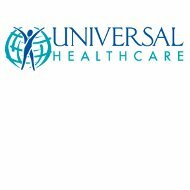 Current customers of the Universal Health Care Insurance Company are able to locate participating doctors, pay their insurance premiums, and locate regional managers via the official website. The customer service department of the Universal Health Care Insurance Company can be contacted via phone from Monday to Sunday, 8AM to 11PM. Policyholders can log onto Universal Health Care Insurance Company website and access their accounts at any time, if they have registered their online accounts. Get lower health insurance rates after you type your zip code! The CFO likes to pend claims.